Story of the Year fans, the wait is finally over. The band’s new album “Wolves” drops Friday, December 8th. Dare I say it is their best album to date. Die-hard fans will rejoice in the fact they kept true to the sound and who the band is at the core. What makes this album so much more? The passion that manifests in the lyrics as much as it does in the music. There is a profound deepness, painting a picture of what life can throw at you and what those situations and moments can make you see and feel. On an emotional level, it’s authentic and hits the soul. On an auditory plane, it’s balls to the wall, yet the album keeps that true alternative rock/hard rock sound. 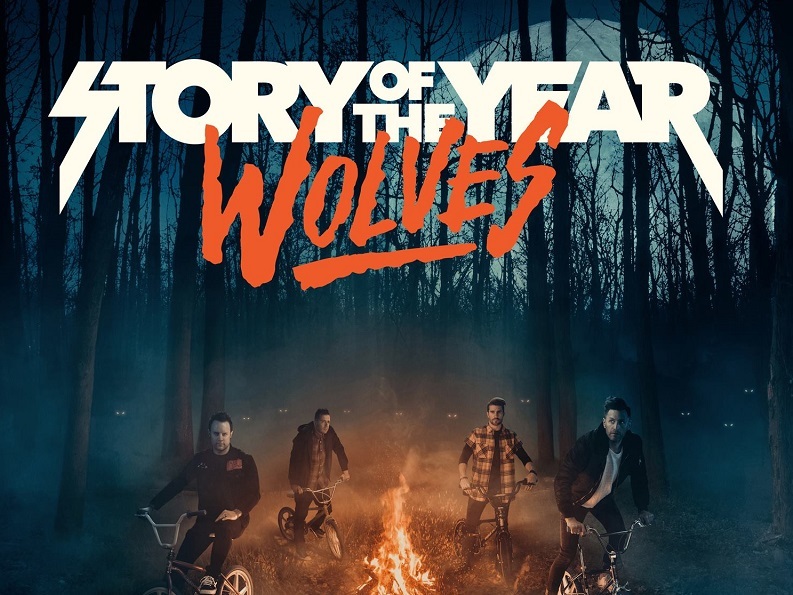 Props to Producer Aaron Sprinkle (Anberlin, New Found Glory, Acceptance) and mixer Tom Lord-Alge & J Hall on the technical side of “Wolves”, the 6th studio album from Story of the Year. A bit of the backstory is that this is the first time the band recorded in pieces, in separate locations, and they were given such creative input into the album. And now to the music. As I write this I am blasting ‘Wolves’ into my ear-holes and honestly, it is knocking me out of my chair with excitement. I am over the moon with how mind-blowing epic this album is. It is hard for me to choose just a few songs to talk about, but I will give you my top 3. “My Home”… it is not one of the hardest cuts on the album, but lyrically it will cut into your soul and speak to your heart. I am loving it. It is doing for me what good lyrics do… it is making me think about some of my own issues, thus making me relate and…. well it sounds killer. For a harder cut, and my favorite on the album, I am recommending “How Can We Go On”. This song reinforces the hard edge backbone that carries “Wolves” over to the heavy side. “Bang Bang” in the vein of “How Can We Go On” as far as having a hard and heavy sound. I love the way Story of the Year can mesh hard rock and alternative music with such heartfelt passion, not just through the music, but through their lyrics, telling a story that each of us experience in our own way. When it’s all said and done, I stand by words that this is Story of the Year’s best album – to date. If you want to get your hands on ‘Wolves’ early, CLICK HERE.